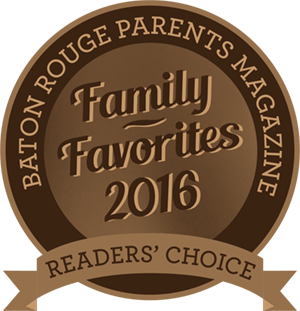 BREC’s Baton Rouge Zoo & The Advocate will co-host their annual Photo Contest again this year. It's actively open to the public now and ends on March 20, 2019. Participants are encouraged to submit photos at the Zoo in a variety of categories, listed below. Judges will evaluate entries primarily based on general interest, photographic proficiency and reproductive quality. A panel of jurors, chosen from the professional community, will judge the entries and the winning entries will be displayed at Zippity Zoo Fest on April 6 & 7, 2019 at the Zoo & will receive a suite of prizes. Fun Foto, pictures of you, your family and/or friends having fun at the Zoo. A full listing of details can be found HERE. BREC’s Baton Rouge Zoo is a place where people connect with animals, including tigers, giraffes, rhinos and alligators. The world-class Realm of the Tiger, Flamingo Cove, Giants of the Islands, Safari Playground, L'aquarium de Louisiane, and KidsZoo exhibits offer fun and education for all ages. The Baton Rouge Zoo is accredited by the Association of Zoos and Aquariums (AZA), a distinction reserved for only the top 10% of zoos in the nation. The Advocate is the source for local news and advertising, in print and online. From Baton Rouge to New Orleans to Acadiana and areas between, we keep south Louisiana residents informed.